The Harris-Stowe State University Alumni Association provides scholarship assistance to worthy, yet financially challenged students. An education helps far more than one individual; it touches the lives of an individual’s family, spouse, children and indeed the entire community. The gift of knowledge is a gift that truly touches us all. Please take a moment to consider the worthiness of this endeavor. 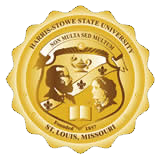 Alumni Association Scholarship Description: The Harris-Stowe State University Alumni Association Scholarships and Book Grants are funded by an annual donation from the HSSU Alumni Association. There are a total of six awards available: two academic scholarships in the amounts of $4,000 each and four book grants at $500 each. Each scholarship and book grant is split between two semesters so that funds can be awarded for the fall and the spring. The academic scholarship can be used toward funding in-state tuition and admission fees for 12 to 15 credit hours per semester. To be eligible, an applicant must be degree seeking and have a minimum 3.0 CGPA after completing 24 credit hours at HSSU. The book grant can be used only for the purchase of textbooks. To be eligible, the applicant must be degree seeking, show satisfactory academic progress and demonstrate financial need. The Alumni Association scholarships are open to all majors. However, one of the two academic scholarships and two of the four book grants will go to Education majors. The HSSU Scholarship Committee will present a combined total of 10 scholarship and book grant nominees to the Alumni Association who will select their six awardees. Submit applications to the HSSU Scholarship Committee.